We all suffer from writer’s block every now and then when it comes to writing Individualized Education Plans (IEPs), especially when we’re thinking about writing goals. We want to make sure the plan delivers what the language promises: individualization. Most importantly, we know those goals must include that measurability element because we will have to come back and later and use data to show whether or not the goal was met. So, how do we write these goals? It’s not as tricky as you think, but it does take some advanced planning! First, if you’ve scheduled your meetings in advance, you’ve got plenty of time to get information from all of your students’ teachers. Use that time wisely. What were their goals? Figure out what the students’ strengths and weaknesses in each class were. You may find some surprises along the way if your student had multiple classes, especially if the student had behavioral goals. If you’re really on top of your game, you’ve stayed on top of this data all year and you can just take the data you have and analyze it. Second, talk to the parent about the goals. The parent is a valuable member of the IEP team and should have input on the goals anyway. Where does little Susie’s mom feel that Susie is at on her reading goal? What about that organizational goal? How does she feel about her progress in math? You’ve been updating her mom on her progress all year long anyway, so hopefully you’re able to have a meaningful discussion. Take notes and use that to help you formulate a draft before the meeting. Third, write the present level of performance for each area based on the student’s strengths, needs, and the impact the disability has on the student’s ability to access the general education curriculum. This piece is important because it tells the story of why the student requires special education services in the first place. Does Johnny’s reading disability hinder his progress in science? In what way? Talk about it in the present level of performance. This section should be longer than two or three sentences. If you are not the person serving Johnny next year and you picked up this IEP, you should be able to understand where Johnny is currently functioning and know how to help him. Once you do all of that, you should know exactly what goal your student needs to work on. But, how exactly do your write the goal? The goal should be both observable and measurable. Bad Goal Example: Johnny will improve his reading skills in his regular classes before the end of the school year. Why is this a bad example? Well, how do you observe “improved reading skills”? What reading skill will Johnny improve and how will he improve them? What will be used to measure his improvement? There are a lot of errors in this goal. Given grade level reading tasks, Johnny will use context clues to determine the meaning of unfamiliar words by 6/5/2015. Depending on the state you live in, you may or may not have to make short-term objectives to go with this annual goal. In my state, if you make a good present level of performance and your annual goal if sufficient to cover the student’s present level of performance, you no longer have to write short-term objectives as long as the student does not take any alternate assessments. I can cover short-term objectives in another article, though. Any other master goal-writers out there? 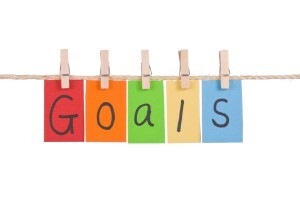 What are your tips for writing IEP goals?